You need an experienced personal injury lawyer to fight for you if you’ve been the victim of a slip and fall accident or suffered property damage. Reams Law has the experience you need to help you through every aspect of your Oklahoma premises liability claim. We will fight for your rights and press the insurance company to compensate you for your injuries and damages. What is Premises Liability Under Oklahoma Law? Oklahoma law is meant to protect you from injuries and damages suffered on another’s property. Owners of a house, land or business owe you certain legal duties to keep their places reasonably safe from hazards and to provide you with reasonable warnings to you about those dangers. If you’re injured while shopping, eating out, on a business trip, traveling on vacation or other common outings, you need an experienced Oklahoma premise liability attorney. Managers and employees of business may even press you sign a waiver or settle before you can hire an attorney. Contact Reams Law first to help you navigate your claims and understand your rights. Austin Reams has over 15 years of experience of practicing law, and has extensive experience handling slip and fall cases in Oklahoma. Before founding Reams Law, Austin defended major retailers and business in Oklahoma. Reams Law knows what to expect when taking them on in court. In Blissit v. Westlake Hardware, Inc., 410 Fed.Appx. 172 (10th Cir. 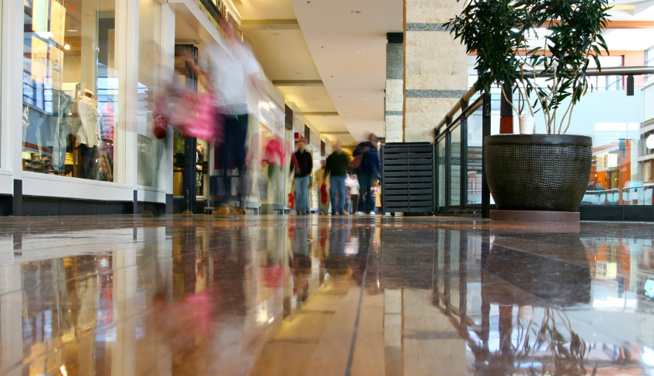 2011), Austin successfully defended a major retailor in a slip and fall case which was affirmed on appeal by the Tenth Circuit. Now Austin uses his years of experience handling slip and fall cases by fighting for those injured from the negligence of property owners. You may experience severe and substantial injuries from a slip and fall for which you are entitled to compensation, including broken bones, bruises, and scrapes, even if they heal quickly. You are especially entitled to recover for more substantial injuries such as spinal cord injuries, burns, back injuries, disc bulges, and brain injuries. Such injuries are life-changing and devastating. You need Reams Law, experienced premises liability attorneys, to help you. Reams Law prides itself on being compassionate, working hard and being honest. Treating clients right and communicating with them is what we’re known for. Austin works hard to meet the highest level of ethics while representing out premises liability clients. We understand that their lives have been adversely affected and that clear communication and guidance is essential when navigating through such difficult events. You will receive the fullest attention at Reams Law. Where does Reams Law Practice in Oklahoma? Reams Law also practices in other areas throughout Oklahoma, including Oklahoma City, Tulsa, Edmond, Norman, Lawton, Idabel, Stillwater, Ardmore, Durant, Midwest City, Moore, Norman, Crest, Kingston, Pawnee, Ponca City, Ada, Clinton, Alva, Dacoma, Cherokee, Woodward, Bartlesville, Broken Arrow, Sapulpa, Tuttle, Harrah, El Reno, Yukon, Mustang, Deer Creek, Medford, Cleo Springs, Enid, Perry, Chandler, Wellston, Prague, Billings, Perkins, in counties including, Oklahoma County, Tulsa County, Cherokee County, Payne County, Cleveland County, Canadian County, McCurtain County, Osage County, Bryan County, Alfalfa County, and many others. Reams Law is ready to help you wherever you are in the State of Oklahoma. Contact Reams Law if you or your loved one has been the victim of a slip and fall or premises liability accident. Call Austin at (405) 285-6878 or email at contactus@reams.law .